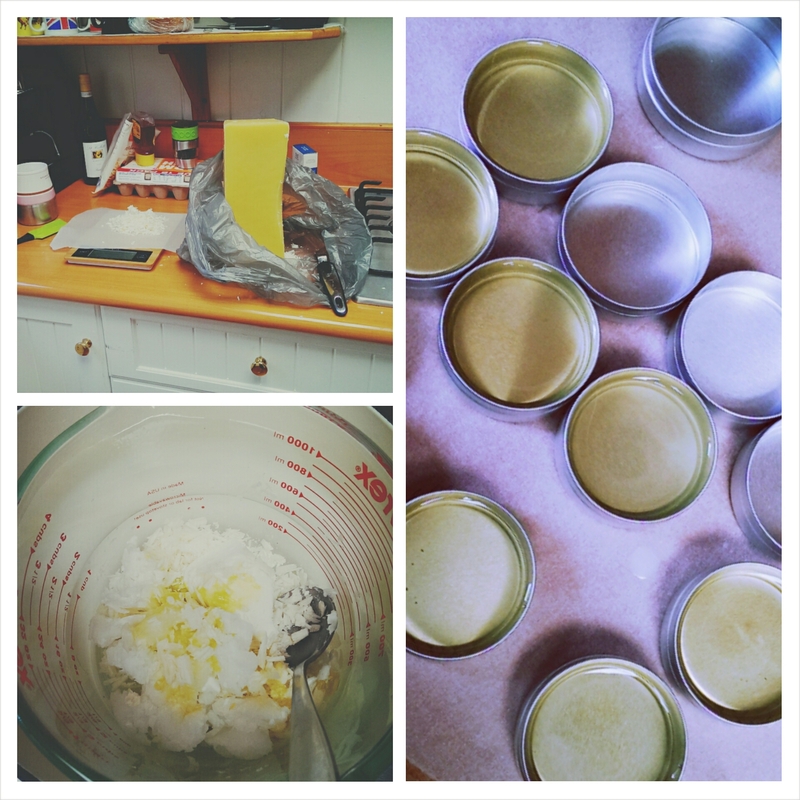 I’ve been wanting to make my own lip balm for a WHILE now, because it seems like one of the easiest things to do in the world. I was dabbling with the idea of going commercial (HAR HAR HAR) but it’s been put aside for now since I’m away for work so much. I made two relatively large batches (I think it was 8 of the bergamot and 6 of the lemongrass) and gave them to the Unsuspecting Partner and a bunch of mates. Results are in and they like it! The bergamot went over relatively well! *Note that I used mL and g interchangeably at 1:1, which I know isn’t scientifically correct, but for this application I really didn’t give a crap. 1. Assemble tools (measuring spoons, scale, glass Pyrex bowl for mixing ingredients, pots for lip balm, spoon for mixing). Wash everything like it’s going out of style; I’m talking hot water, soap, the works. Dry thoroughly, because introducing water to beauty products is like asking to cover your face in mold. It isn’t okay. 2. Measure out ingredients. I used a scale to measure the solid items and just kitchen tablespoons to measure the liquids. Note that once you use tools for beauty products, they should ONLY BE USED FOR BEAUTY PRODUCTS. I know you can eat all of the ingredients, but still, cross contamination with food/things you put on your skin, kind of wigs me out. 3. Melt the coconut oil, beeswax, liquid oil and shea butter in a double boiler (Pyrex container in a pan of simmering hot water). Don’t have it as a rolling boil because it may splash and you will not have fun after that. Stir until the mixture is entirely melted and clear. This will most likely take longer than you think, as the last few bits of the beeswax took forever to melt in mine! 4. Take Pyrex out of double boiler. Add essential oil and vitamin E. Stir stir stir! 5. Pour into container of choice. If the mixture starts to harden, put it back in the double boiler until liquid again. 6. Cover containers (foil, plastic wrap, clean tea towel) and let sit for 4 to 6 hours or until hard. See, super simples? Next time I make a batch I will be sure to include pictures of the process, even though there’s like a billion tutorials already on the internet. I just feel like everyone should be able to see my hideous 80’s designed rental house kitchen. You should also check out my Instagram! Do it! It’s so easy!! !